To make the ice cream you will need frozen sliced bananas. You know I love my bananas and I keep some in the freezer at all times. Slice your bananas before you freeze them. If you are in a pinch and don’t have any frozen bananas on hand, you can thinly slice them (the thinner the better) and lay them flat on a baking pan in the freezer. Within a couple hours you will be good to go with this recipe. I use my Vita-Mix for this, but in the past have used my food processor as well. The food processor works well, but the Vita-Mix creates something magical. I think it is due to the fact that it blends so quickly the heat of the blades don’t have time to melt your bananas. Use what you have and it will be delicious. 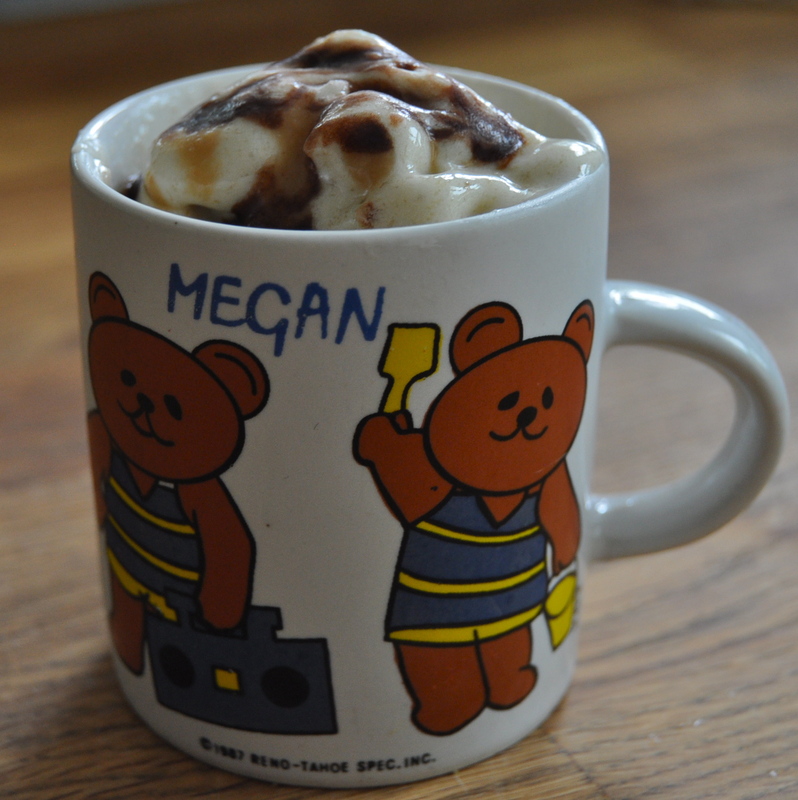 If you don’t have either machine you can still enjoy this recipe. Slice your bananas. Stick toothpicks in each slice. Freeze or leave fresh and dip in the sauces, fondue style. Yum. If you are using a Vita-Mix place the sliced bananas in the machine and turn it on. Use the tamper to smush the bananas into the blade. Watch it closely. It turns quickly. It is ready when it turns white and creamy, resembling soft serve. Be amazed. Scoop out and top with the sauces and your choice of toppings. If you are using a food processor place the sliced bananas in the machine and pulse until the bananas blend together and resemble soft serve ice cream. Scoop, revel, enjoy. Place ingredients in a small pot over medium heat. Stir to combine and fully dissolve the sugar. Take off heat. Taste. Adjust sweetness and chocolatey-ness to taste. Keep in fridge until your ice cream is ready. Place ingredients in a pot over high heat. Bring to a boil. Reduce heat. Simmer until sauce is thick and resembles caramel. Taste. Adjust sweetness/peanuty-ness to taste. Cool in fridge until your ice cream is ready. 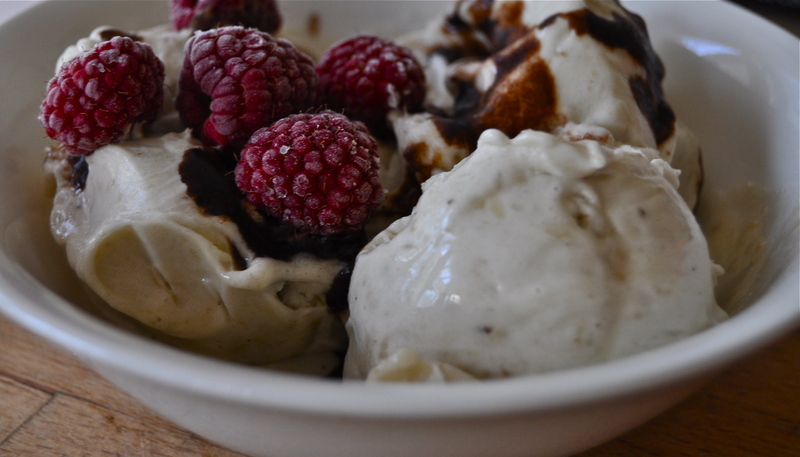 To assemble sundaes scoop ice cream into bowls. 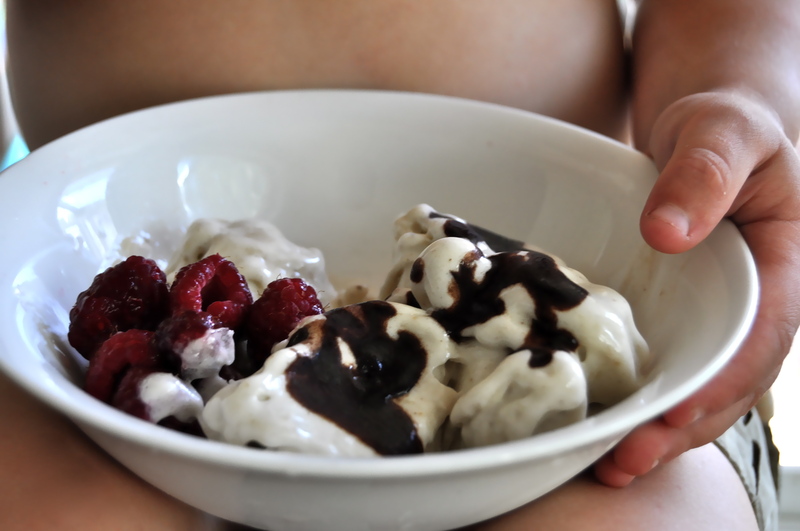 Drizzle with sauces and top with additional ingredients of your choice (Suggestions: fresh berries-raspberries!, cherries, gogi berries, cacao nibs, chocolate chips). This melts fast. Devour. 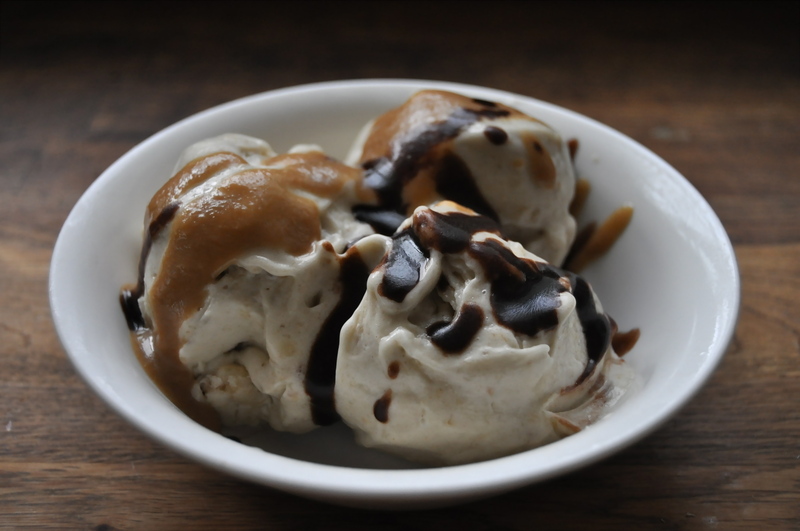 This entry was posted in dessert, raw, snack, vegan, vegetarian and tagged raw, raw ice cream, raw vegan ice cream, recipe, vegan, vegan caramel sauce, vegan chocolate sauce, vegan peanut sauce, vegan sundae. Bookmark the permalink. I am putting myself in your hands.